A multi-level analysis of Pakistani human bombs reveals that suicide terrorism is caused by multiple factors with perceived effectiveness, vengeance, poverty, and religious fundamentalism playing a varying role at the individual, organizational, and environmental levels. Nationalism and resistance to foreign occupation appear as the least relevant factors behind suicide terrorism in Pakistan. The findings of this research are based on a multi-level analysis of suicide bombings, incorporating both primary and secondary data. In this study, the author also decodes personal, demographic, economic and marital characteristics of Pakistani human bombs. On average, Pakistani suicide bombers are the youngest but the deadliest in the world, and more than 71 percent of their victims are civilians. Earlier concepts of a weak link linking terrorism with poverty and illiteracy do not hold up against the recent data gathered on the post-9/11 generation of fighters in Pakistan (in suicidal and non-suicidal categories), as the majority of fighters from a variety of terrorist organizations are economically deprived and semi-literate. 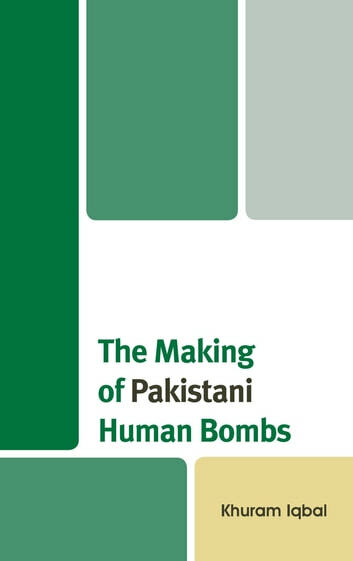 The majority of Pakistani human bombs come from rural backgrounds, with very few from major urban centres. Suicide bombings in Pakistan remain a male-dominated phenomenon, with most bombers being single men. Demographic profiling of Pakistani suicide bombers, based on a random sample of 80 failed and successful attackers, dents the notion that American drone strikes play a primary role in promoting terrorism in all its manifestations. The study concludes that previous scholarly attempts to explain suicide bombings are largely based on Middle Eastern data, thus their application in the case of Pakistan can be misleading. The Pakistani case study of suicide terrorism demonstrates unique characteristics, hence it needs to be understood and countered through a context-specific and multi-level approach.